Augmented and virtual reality traffic will grow nearly 12-fold from 22 petabytes per month in 2017, to 254 petabytes per month in 2022. This corroborates other surveys with the twin findings that mobile data will take an increasing share of total IP traffic at the expense of fixed line connections and that video in turn will account for an ever-greater slice of that. So the MVNI predicts that mobile video will grow at a CAGR (Compound Annual Growth Rate) of 55% between 2017 and 2022, higher even than the overall average mobile traffic CAGR of 46%. By 2022 video will account for 61 exabytes of the total 77 exabytes a month of data traveling over mobile networks. Cisco also forecasts that cellular and Wi-Fi will ride this boom together as both enter new generations of standards. Like 5G, the latest WiFi 6 standard that will supersede the current 802.1ac will increase speed and reduce latency, while also improving performance in congested areas, including stadiums, airports and homes. For cellular, 5G will emerge from small-scale trials to some initial larger-scale commercial deployments by 2022, providing a boost to video consumption through higher download speeds potentially exceeding 1 Gbps in the future, while the much lower latency will be at least as critical for live services. The MVNI argued that deployment of 5G will increase rather than diminish Wi-Fi offload, simply because it will scale up mobile data demand by as much as capacity, driven in large part by higher quality video services at 4K resolutions and possibly higher frame rates. On that basis Wi-Fi offload will grow in proportion to the overall amount of mobile data traffic. By 2022 the MVNI forecasts that globally 51% of total IP traffic will be Wi-Fi, 29% wired and 20% cellular. This represents a significant shift to mobile in general, from a total of 52 per cent in 2017 to 71% by 2022. Average connection speeds will rise substantially for both Wi-Fi and cellular in line with roll out of the latest standards. In the case of Wi-Fi, it will rise at 17% CAGR from 24.6 Mbps in 2017 to 54.2 Mbps in 2022. Similar gains will hold for cellular but with marked regional variations. Western Europe will overtake North America as the region with the fastest cellular services, with average speeds there rising from 16.0 Mbps in 2017 to 50.5 Mbps in 2022. In North America the rise will be from 16.3 Mbps in 2017 to 42 Mbps by 2022, while in Asia Pacific it will go from 10.6 Mbps to 28.8 Mbps. These regional totals in turn mask country differences, especially in Asia Pacific where some such as Singapore and Hong Kong (part of China) score very highly. The MVNI also dives into the transformative capabilities of both 5G and WiFi, which will encourage more advanced video services in parallel with expanding use cases for the Internet of Things (IoT). Both will provide greater power efficiency essential for smartphones and small devices in particular where battery life is always a constraint, as well as cost optimization and higher IoT connection density. Also significant will be dynamic allocation of resources based on awareness of content, user, and location. 5G will be able to support low-end IoT applications such as sensors and meters concurrently with high-end IoT applications, such as autonomous vehicles and tactile Internet experiences. 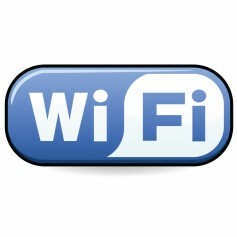 Wi-Fi 6 has also been designed to accommodate larger numbers of connections, partly by moving away from its traditional contention-based protocols, which become inefficient at high loading, to a “scheduled-based” protocol that enables much more consistent wireless performance, especially in high-density environments like stadiums, arenas, airports and convention centers. Vendors are already moving in to capitalize on these opportunities, one being Hewlett Packard Enterprise subsidiary Aruba, which in December 2018 announced a family of Wi-Fi 6 IoT-ready wireless access points and switches. Nokia plans to launch first 5G ready phone in time for commercial services from 2020 onwards. One aspect of the Cisco report not picked up by many commentators was the importance of the next generation of the IP protocol, IPv6, which is succeeding IPv4 in the Internet as well as internal networks. The subject tends to be neglected because the migration process has been very protracted dating back two decades, so that interest in the story has long evaporated. But now the explosion in connected IP devices associated with IoT applications and services means that the primary motivation for migration to IPv6 – the shortage of IPv4 addresses – is really coming into play. Furthermore, as the MVNI points out, IPv6 offers other advantages, one being that every device will have a globally routable public IP address on the Internet, which will be helpful for worldwide OTT video services for example. There are also routing efficiency gains with IPv6 that will accentuate the performance gains of WiFi 6 and 5G. The report identified Extended Reality (XR) as the next big trend in mobile technology, with three strands. These are Mixed Reality (MR) where real and simulated content is blended, as in some movies. Second is Virtual Reality (VR) where the content is entirely simulated, as in some gaming applications as well as training scenarios in medicine and aviation for example. Thirdly Augmented Reality (AR) extends real footage with computer generated or graphical content, which is applicable in tourism and online retail to show off a product, location or service. The evolution of edge computing will combine with the advances in wireless communications to stimulate XR roll outs, with VR gaining the upper hand in the short term but AR then catching up because of its multitude of use cases. The survey predicts that XR traffic will grow nearly 12-fold globally from 22 petabytes per month in 2017 to 254 petabytes per month in 2022, although that would still only be about 0.3% of total mobile traffic. One oversight in the MVNI study was a failure to point out that Wi-Fi offload is not a free lunch because data caps and surcharges often apply there in various ways. Some broadband service providers impose a blanket cap of say 1 TB on the total amount of data that can be downloaded in a month to feed Wi-Fi networks in homes or business premises. Admittedly that is a lot higher than most mobile caps but would still run out for users consuming a lot of high-quality video content, as can be seen by considering average bit rates. In the case of Netflix, HD video consumes around 3 GB an hour and Ultra HD 7 GB an hour. This means that a household full of TV junkies might run into their 1 TB cap in about two weeks watching HD content, or under a week if it was all UHD. Furthermore, many public hot spots restrict video streaming or even block it altogether, so here Wi-Fi offload would be useless. The idea of Wi-Fi offload as essentially a free pressure valve for over congested cellular networks as presented in the report is often wide of the mark.